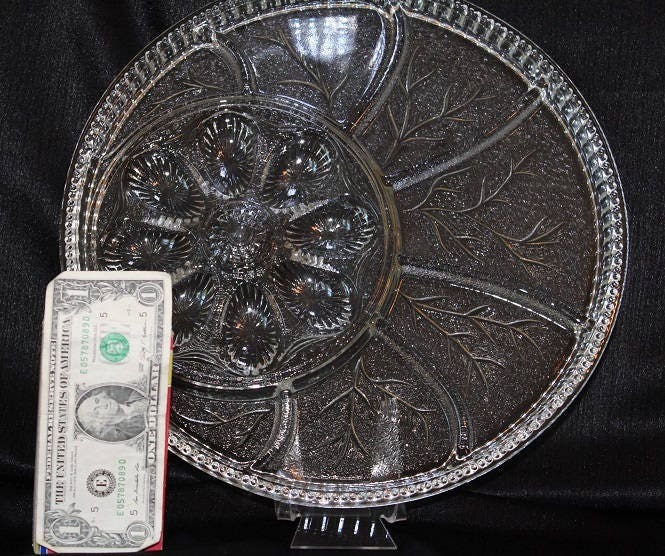 This heavy, pressed glass divided relish / deviled egg platter was made by Indiana Glass in the clear Pebble Leaf pattern. 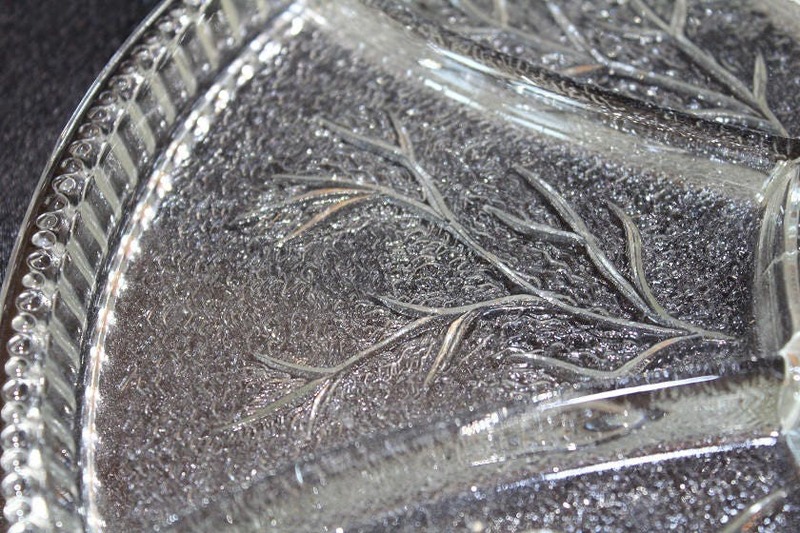 It has clear overall textured pattern surrounding a leaf design pressed on the bottom of the plate. 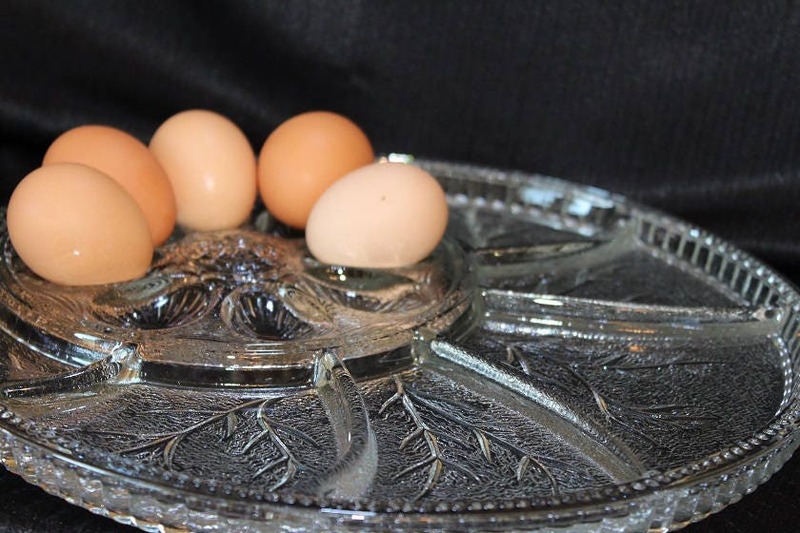 The large platter is divided into 7 sections and 1 round deviled egg section which is raised. 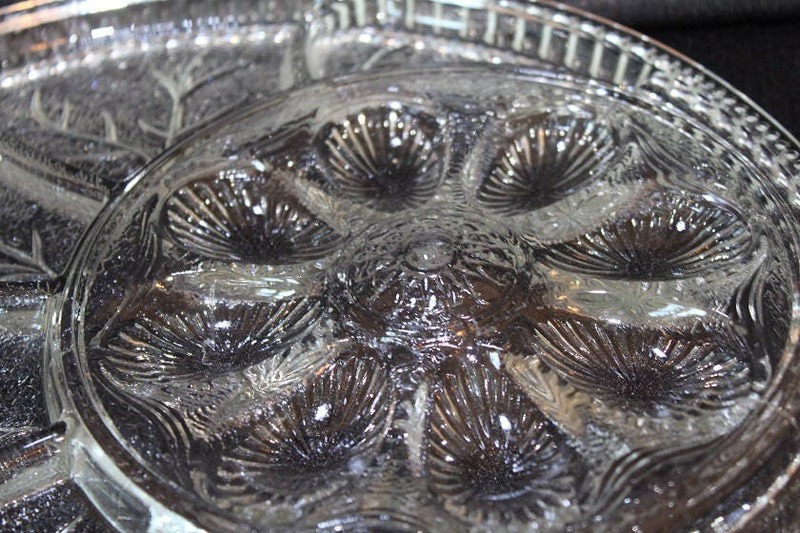 There is a beaded pattern around the top of the rim and a ribbed pattern along the outside of the rim. 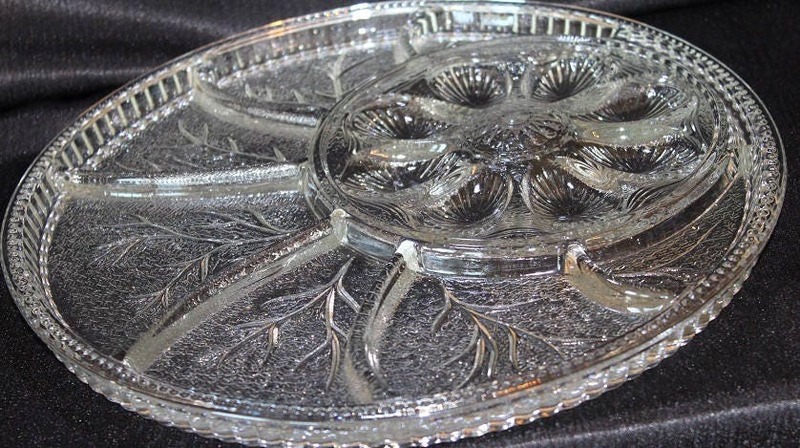 This platter is in excellent condition with no cracks or chips.